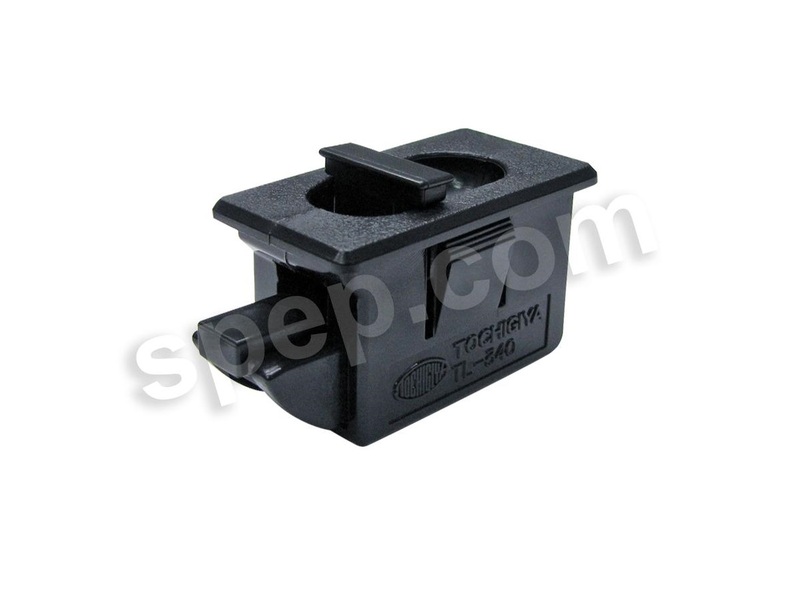 While latches can be made of many different materials, plastic is commonly used for latch components. 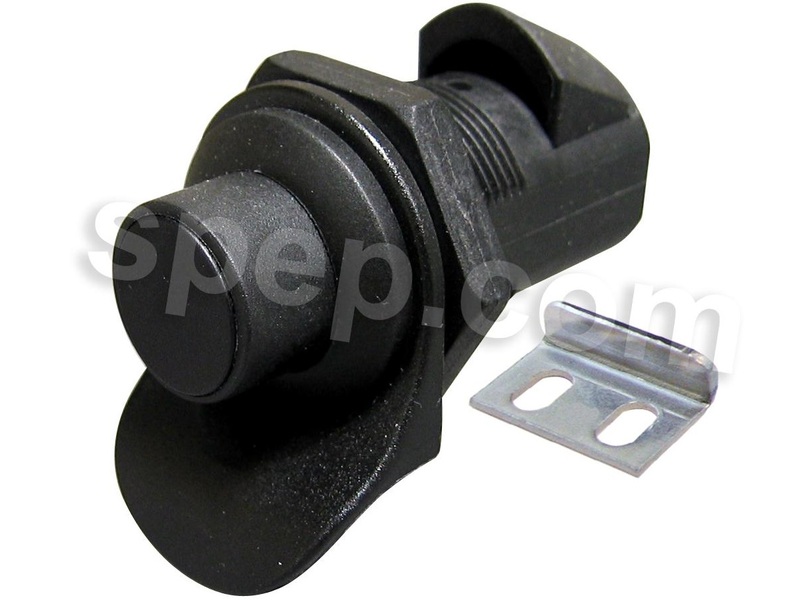 Plastic latches are used in industrial, commercial, domestic and agricultural settings. Plastic latches are most often utilized in applications which do not require high strength or durability in order to provide an effective closure. While many door latches and gate latches contain components of plastic, solid plastic latches are incorporated often in utility boxes, cabinets or storage compartments. Latches are used to join two adjacent surfaces with the possibility or frequent and easy securing and disengaging. While industrial latches are most often made of strong metals, the use of plastic in latch manufacturing provides added impact resistance. This property combined with the corrosion resistance of plastic is important to increasing the longevity of exposed latches. ABS, silicon and thermoplastics such as nylon 6/6 and polytherimide are just a few examples of frequently used plastics. Thermoplastics are used as they are easily shaped from molten form into durable and hard-wearing components. Plastic latches are well suited to many possible latch designs and are most often manufactured using injection molding or a similar technique to form the latch components. In injection molding, the plastic resin, typically in pellet form, is heated until molten, and then injected into a preformed mold. Once in the mold cavity, the plastic is allowed to cool and set and is then ejected as the finished component. Stamping or machining may also be used to manufacture plastic latches. Depending on the quality of the molding, or stamping process, secondary machining may be required to ensure a piece is finished. There are many benefits to working with and using latches made of plastic or with plastic components. Plastic latches are water and corrosion resistant and thus are widely used in marine and outdoor applications. The plastic components of other latches are integral in latches that require some give and flexibility that metals cannot offer. Draw latches, for example, commonly use plastic in the strap mechanism of the latch. Plastics are not always flexible, however, and can also offer strength and rigidity. In applications such as doors, drawers, compartments and lids, life vests and a variety of cabinetry uses, plastic latches provide a simple and cost-effective closure solution to closure requirements. While plastic may not be as strong as many metal alternatives, the growing diversity in types of thermoplastics makes them suitable to the many different types of latches available. Plastic is also able to adjusted in terms of color and finish in order to incorporate it more fully into its finished product or placement. Plastic Latches Plastic latches, manufactured from thermoplastic materials, are devices used to fasten two surfaces securely in place.